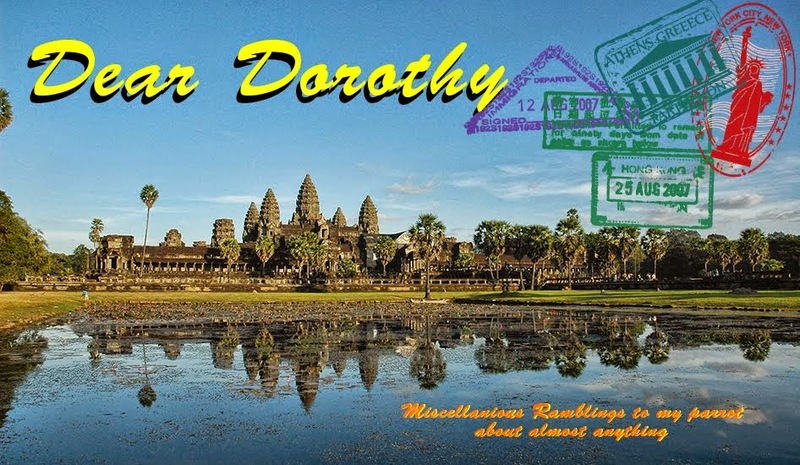 Dear Dorothy: Oh ! Calcutta ! Well I'm in the heart of it now for sure. I wanted the noise, dirt and chaos that I was expecting from Calcutta and I certainly have found it. This morning I told the hotel that I would be leaving for more exciting climes. They told me, not until I canceled with Booking.com. I didn't realize that the property got charged a fee from me just booking the room. I thought it was only if I actually stayed there. That was mostly true, but I needed to cancel. It was supposed to be as simple as a mouse click, of course it wasn't. Since I had started the stay, I couldn't mouse it away. I had to call their 800 (008 in this case) number, speak to a real live person to get it done. It went smoothly after getting a nice lad. She sent a cancellation email to me and the hotel and “Bob's your … “ Whoops. The taxi was called and the price agreed upon and I was back on the road again, though it really wasn't that long of a road. Slowly we navigated the streets of Calcutta. Some almost open road, sometimes a grinding halt as the driver would inch between a bus and another taxi or squeeze in behind a passing motorbike and sneak around an unsuspecting tuk-tuk. Then it was back t wind in my face speeding along for another few miles. Eventually the speeding along became less and less and the worming became more and more, until it was inch worms all the time. Now there wasn't a single straight anything. Not the decrepit buildings, not the people bent under loads, and certainly not the road. The road must have been following goat and donkey trails long forgotten. Perhaps it was the contour on the ground, maybe it was former stream beds. For whatever reason, the modern road followed the ancient trails. Some of the taxi cabs have the words “No Refusal” written on their back door. I am curious why or what made them put that there. I just asked the server here at the hotel and found out, that it is not a caste thing as I expected it was a zone thing. Some drivers only want to stay in (for example) the downtown core or just the lucrative airport run. The “No refusal” ones will take anybody wherever their little heart's desire. The streets went from just crowded and crooked into the narrow warren that I expected for the town, then a turn at a busy intersection and the road was a straight city street with glass fronted stores and shops, not plywood and sheet metal open air stalls. The traffic had changed as well. It went from trucks and buses and taxis and motorcycles to buses, taxis, tuk-tuks, pedal rickshaws, motorbikes and for the first time actual human pulled rickshaws. I think this is the only municipality worldwide that still allows them. I saw one once, a museum piece in Hong Kong that was on display at the top of Victoria peak for the tourists to photograph. But ones that were working – never. I wanted to get a picture of them quickly. I was afraid that the ones I was seeing were an anomaly and I'd better get the image while I could. Turns out that I shouldn't have worried. They are still everywhere. Quite a number waiting for tourists at the expected spots, but also pulling loads and people through the streets that is not just for the tourist trade. Along the way there was the occasional man facing a wall with his hands in front of his pockets for no good reason. As the city became more crowded there were concrete stalls with partitions about chest high and exactly one man width. I shouldn't be surprised after as many locals as I have visited just how casually men are allowed by society to pee in the open. I can't remember seeing anything even close for women, anywhere. – then there is the spitting. Don't get me started on that one! On one of the streets there was even a half block of tied walls and sidewalks with running water and drains. This was a bathing area right on the side of a four lane street (well it was closer to an eight lane street since the printed lines don't mean a thing). Men got wet, suds were made and the water flowed, all as the traffic passed by. As I flew from Mumbai to Kolkata I noticed that the central section of India seemed to be virtually treeless. After dealing with three hotels, various money exchanges and of course the Immigration bureaucracy why there are no trees left. It is because they were all turned into paper to feed the machine. You hand a US dollar for exchange and you get a receipt, and your passport is Xeroxed, both face page and visa page. Hotels have to do the same, only in triplicate and then everything has to go into an envelope. This country would probably be hundreds of feet higher in elevation it it wasn't weighed down in all this paper. I can just picture a basement someplace that stretches off into infinity Indiana Jones style of boxes and boxes of paperwork. The hotel I am staying at is one of those downtown hotels that have been in operation since before independence. The rooms are of a reasonable size and the ceilings are ten feet high. Over the years hot water has been added to the rooms and A/C has been retrofitted, but the ceiling fans are still in place. There is a certain charm to the room to it. I wouldn't want a steady diet of this type of room, but it is a quaint change for the short term. Across the street from the hotel is the New Market. It is the New Market in name only. It was built either in the late 1800's or early 20th century. At the time I am sure it was a show piece. Now it is a very well used piece of the infrastructure. The first part you come to is host to all that is tourist consumerism. Jewelry stores. Enough Pashmina scarves to bald ten times the number of Cashmere sheep there are in the world. Shirts and dress and things to sit on shelves in western homes and collect dust. Each with two men in the stall beckoning you to see their wares, not to mention the roving ones who try and get you to follow them to their special store, just for you today. I try to deal this with good humor, but sometimes enough is enough. After you get past this area you come to the actual working market. The live chickens in the cages, piles of vegetables and fruits. Men carrying heavy loads on their heads, men lounging on bags waiting for customers all in a dim humid afternoon heat. The scents and smells sometimes good and occasionally beyond description. I met my match at the butchers area. It was enough to make me a vegetarian (for half an hour), the smell sent me in reverse and not fast enough. There is a reason offal is pronounced awful. Eventually the heat, touts and smell made me take refuge in m hotel room where I dozed under the A/C until late afternoon and came up to the rooftop terrace for writing and refreshment. Which is where I will leave you for today.